Does this ever happen to you…you are shopping at the grocery store and you crave a certain food so you buy the massive family pack size because you’re really hungry? Well, that was me a couple of weeks ago with yogurt. I purchased an enormous box of individual yogurt cups and I guess I wasn’t as hungry as I thought I was because now the yogurt is expiring and I still have plenty of yogurt cups in the fridge. Since my little guy is a monster for muffins, I decided to make some delicious yogurt muffins. After a bit of internet searching, I put together a recipe that I think turned out pretty darn delicious! You can use any kind of fruit in these and it doesn’t have to be the same as the yogurt flavor. For example, strawberry yogurt with blueberries. 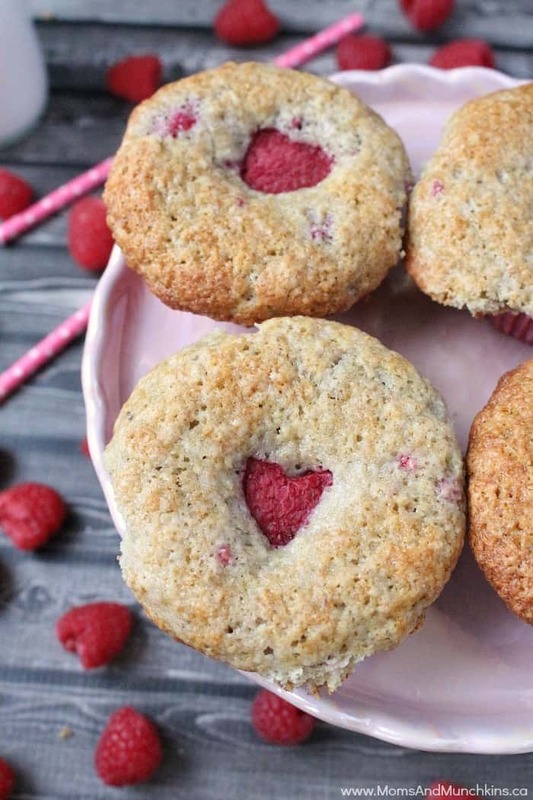 These easy to prepare muffins are perfect for using up the yogurt in the fridge. 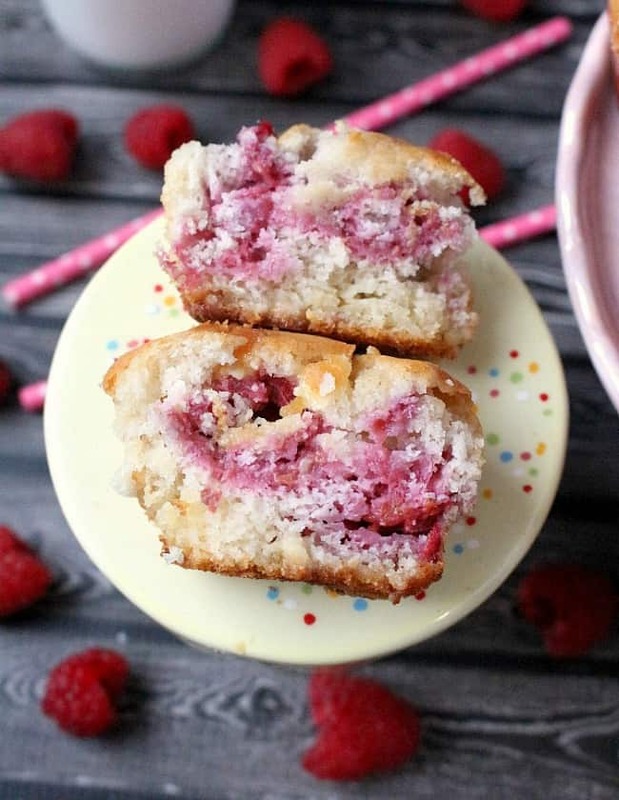 The muffins freeze well and make an excellent mid-day snack. Spray muffin pan (makes 12 muffins) with cooking spray. In a large bowl, beat the butter, eggs and vanilla until well mixed. In a separate bowl, stir together the flour, baking powder, baking soda, salt and sugar. Pour the flour mixture into the butter mixture and stir just until mixed. Add the yogurt and fruit and stir until mixed. Bake for 20 minutes (use toothpick in center of muffin to make sure they are thoroughly cooked). 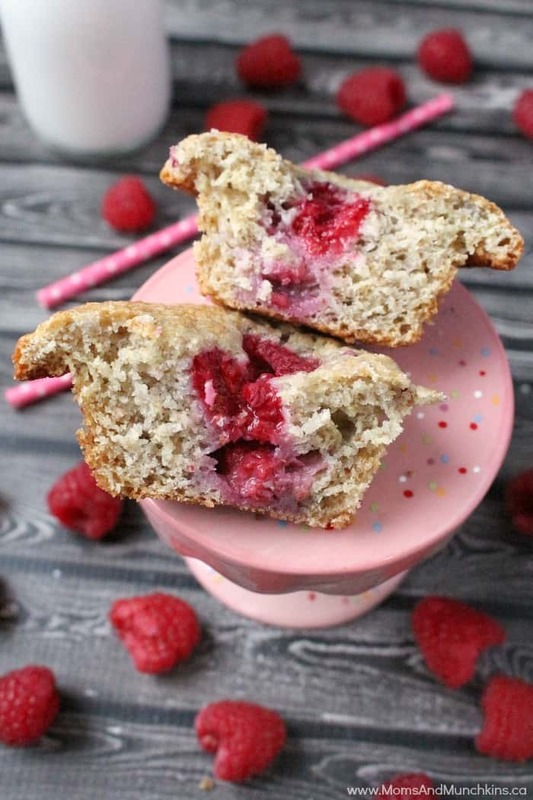 For another delicious muffin recipe using raspberries, check out these White Chocolate Raspberry Muffins (my personal favorite). Thanks for the recipe. Sounds delicious. Could I use Greek yogurt, instead?